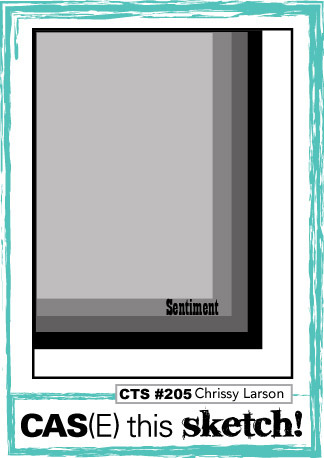 Today's card takes inspiration from several places. 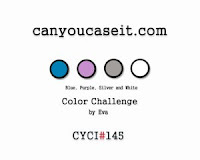 One is the sketch at Cas(e) this Sketch, one is the colour combination from Can You Case It? and the other is a 'how to' tip that I got from a fellow local demonstrator, Carol. 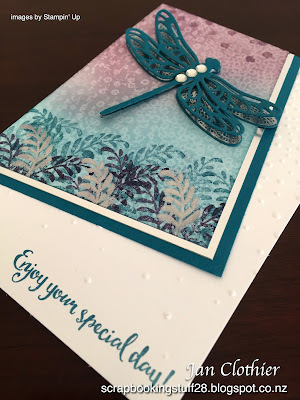 There's a small group of local demonstrators who get together, share events and ideas from time to time and she showed us how to do this very cool crackled background using greaseproof paper, an embossing folder and an iron. I've been looking to use this technique in a challenge and today was the perfect chance. Isn't Carol's background idea lovely? After embossing a piece of greaseproof paper, you put it into a sandwich of paper and iron it. Then you can colour the paper however you like. I've sponged it with two colours, then stamped and embossed over the top. Softly Falling was the embossing folder used, and it's also used on the front of the card base, behind the decorative panel. 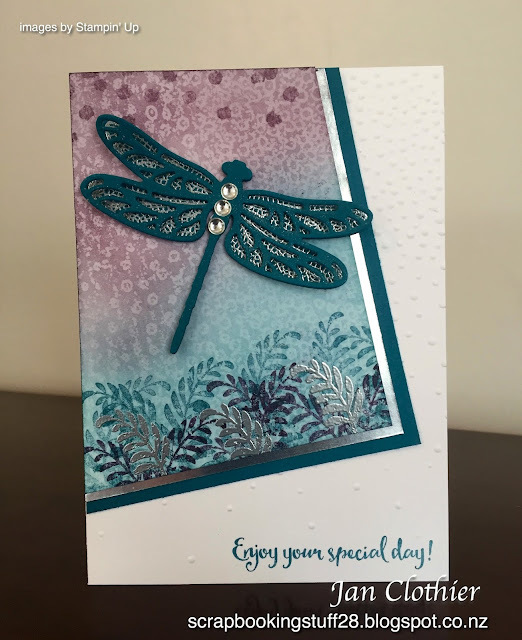 The underdragonfly is silver embossed on Island Indigo. The lacy wings have had clear Wink of Stella applied and in real life have a glimmer of their own. 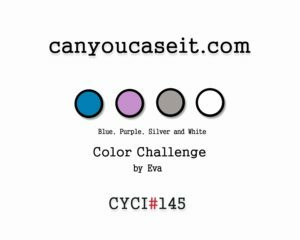 Update: Delighted to be a Top 6 Pick at Can You Case It. 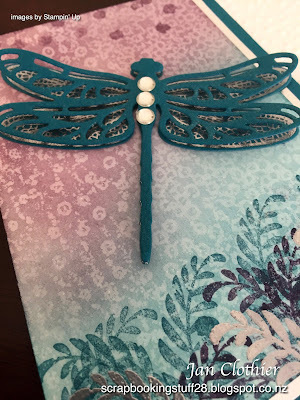 Other: Detailed Dragonfly thinlits, silver embossing powder, Softly Falling embossing folder, dimensionals, Wink of Stella, Metallic shapes, greaseproof paper, iron, sponges. That background is great. I love how it's got some "texture" to it. I have no idea what greaseproof paper is but I'm off to google it so I can learn how to do this! Didn't know other places called it differently. Maybe waxed lunch paper? The stuff you wrap lunches in found next to the plastic bags in the supermarket?